We will see you soon in Ann Arbor! University of Michigan buses are the easiest way to get around campus! There is no cost - Simply hop on and ride. Many visitors prefer to park in a parking structure on Central Campus and hop on a blue Michigan bus to ride up to North Campus. It's only about two miles, and the bus ride can take up to 20 minutes during peak traffic times. Commuter North and Diag-to-Diag Express routes are recommended. The closest stop for these routes is near Cooley Laboratory. 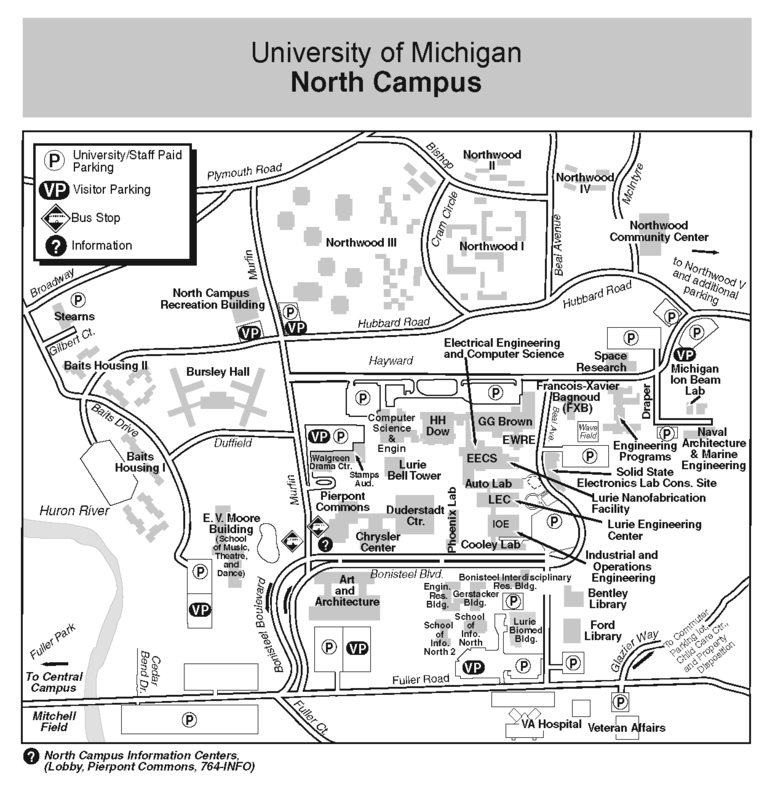 Bursley-Baits and Northwood routes will stop at Pierpont Commons. You can also track Michigan buses in real time using Magic Bus. North Campus, the home of Michigan Engineering, is a hub of creativity — where engineering, art, music and design students co-exist. Join us in for a thirty minute information session starting at 10:00 am, immediately followed by a walking tour of our Engineering facilities at 10:30. The tour will conclude by 12:30 pm. If you have any questions about North Campus Engineering Tours, please call (734) 647-7101 to speak with an Engineering Recruitment & Admissions staff member. Interested in a Central Campus walking tour? Central Campus walking tours are hosted by the Office of Undergraduate Admissions. Click here to plan your visit!